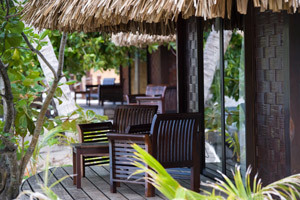 * A fee will be charged for breakfast service delivered by outrigger canoe to Overwater Bungalows. *** Activities and excursions are not included. *Gifts will be issued upon presentation of a marriage certificate or proof of marriage within one year. 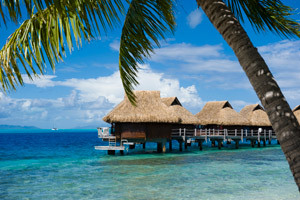 For stays of at least 3 consecutive nights at the Maitai Polynesia in Bora Bora with breakfast and dinner provided for the duration of your stay (only in Beach Bungalows and Overwater Bungalows). The offer is valid to all our accomodations all the year.